I was a member and played at my local small-town course which didn't really care too much about dress code. Jeans and T-shirts were the norm. I went up to a big city as a newbie golfer and found all the famous championship courses I'd read about and planned on playing them one by one. I settled on the first one, which my cousin worked at, and made sure to put on my best golfing outfit, collared shirt and all. 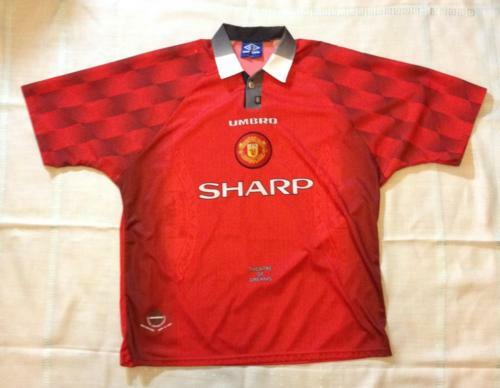 'You can't play here wearing that, sorry' my cousin told me. The shock ran through me like an earth tremor. How could I be turned away in my fancy new golfing outfit? Not allowed on a golf course, who knew?? My cousin did tell me how I was supposed to dress and after seeing some of the more experienced golfers around, I realized the error of my ways. I immediately went out and bought the stuff I needed and was playing on that very same golf course the next day. A golf course Ernie Els and Vijay Singh regularly stopped at! You can use a long sleeved or a short sleeved polo shirt but it must have a collar. Depending on whether you live in a warm or cool climate, the material you use will affect how you feel on the course. In cooler areas, cotton is always great while in warmer and more humid areas, a synthetic material will let sweat evaporate and keep you dry and cool. I highly recommend Under Armour for hot conditions. I use their shirts in South East Asia when I play there and feel great after. A close runner up is Adidas. Don't be like me and wear a thick cotton shirt in 100 degree weather and end up lying on the shower floor eating dried mango and drinking the shower water! Depending on your preference, you can choose between shorts and slacks. Keep in mind, they need belt loops. No drawstring or soccer shorts. 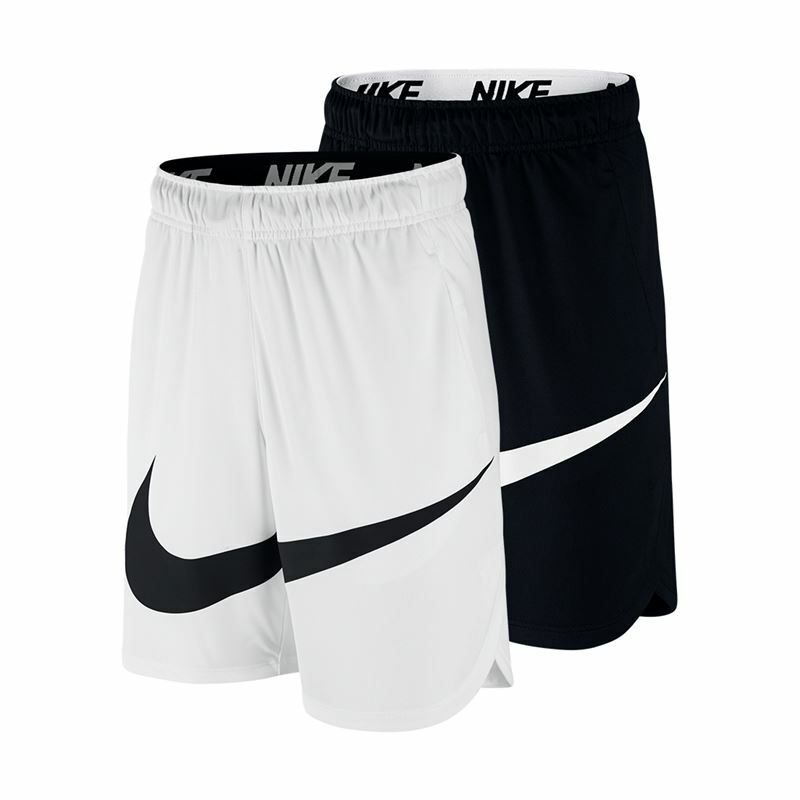 You can also get shorts and slacks made specifically for hot weather or temperate weather like the shirts above. For hot and humid conditions, I love Under Armour for slacks; Adidas for shorts. For when I travel to cooler more temperate places, I like flat-front chinos and chino shorts. 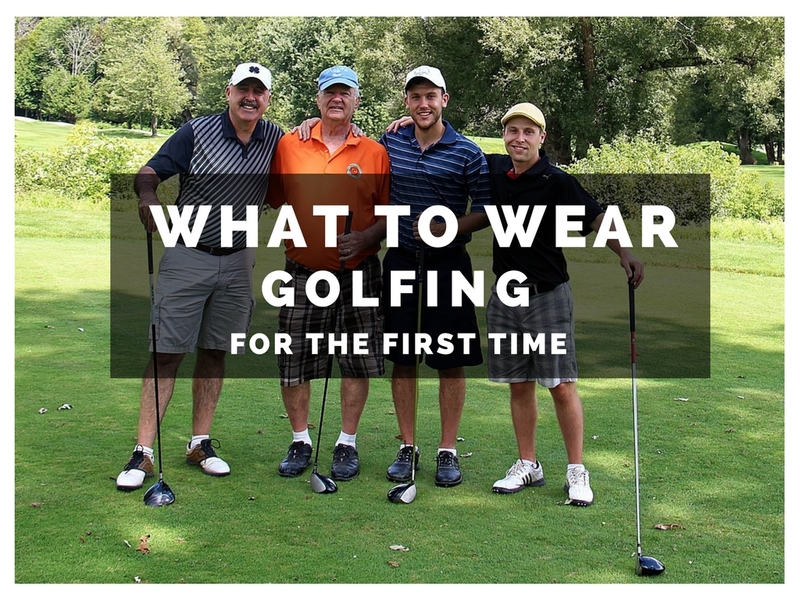 The safest colors for your golfing pants and shorts are cream, beige, khaki, gray and tan. White and pink as well as very bright colors are something you graduate into as you move up the golf hierarchy and establish yourself as a flashy snappy dresser. You get three kinds of golf shoes now. 3. Spikeless - The sole of the shoe has lots of small rubber studs that are great for people who get stud pressure walking on spiked golf shoes. I played with soft spike golf shoes for 14 years but as someone who suffers from serious stud pressure playing any sport, I ditched them for spikeless as soon as spikeless became a 'thing'. Just 18 holes killed my feet in soft spikes - the soles are often very hard and only get softer as you spend more and more money on them. Adidas and Skechers make some of the most comfortable spikeless golf shoes around. After 18 holes in massive heat, I'm usually sitting in the club house sipping my beer, feeling fantastic! The soles are softer as well as having ample padding in the heel and quarter sections - like wearing trainers. While spikeless golf shoes are more comfortable, they look more casual and like sneakers so you won't look like your favorite pro (unless Freddie Couples or Ernie Els are your favorite). If you want to look like Jordan Spieth or Dustin Johnson, you'll need to get some soft spike golf shoes. Use your belt loops! Wear a belt. It can be whatever looks good but I prefer something stretchy and less formal than belts you wear at work. I like them to match my shorts or a color on the shoes. Something cheap too - like an elasticated braided belt. When it comes to socks, you want to get white socks like these Nike ones that go up near your ankles. Wide brim hats - the mark of a beginner. While very effective in keeping sun off your cheeks, steer clear of these hats if you don't want to look like a newbie. These are optional but if you play long enough, you'll eventually use one. The key is to find the right size and remember something very important! Right handed golfers wear gloves on the left hand and left handed golfers wear gloves on the right hand. You only ever wear one BUT if you want to look like a total beginner, you can wear two, one on the right and one on the left. But please don't! There are many things to know about golf gloves but that's something for the future. For now, the best glove for you will be durable and cheap. No need to spend massive amounts on gloves just yet. Below are the Grip Boost Second Skin for hot humid weather (you'll need 3 to alternate with during the round) and the MG Dynagrip for temperate climates. Superb value for money! That's a pretty good start to your golfing journey. Key things to remember when golfing for the first time are to have fun and not worry too much about what other people think. Cover your bases by knowing the rules and etiquette and dress in a way that makes you feel good. Once you do all that, you're ready to hit the course and make some new friends. Golfers seem elitist and snobby from a distance but you'll find once you're in our little "club", you're just another one of the boys.